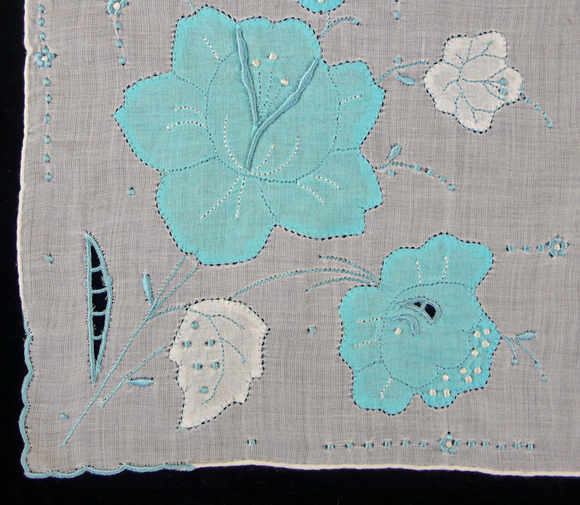 This pretty square panel is made from a very fine cotton lawn. 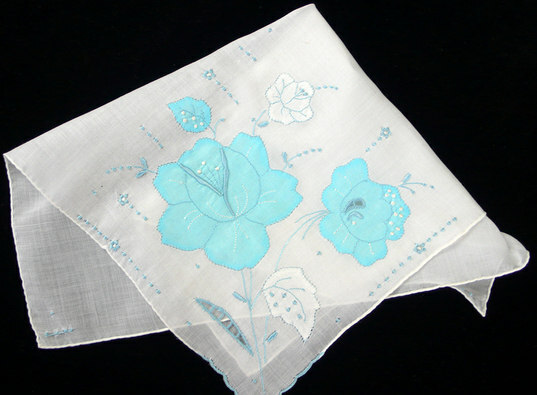 It has then been handworked with applique, cutwork and embroidery, including satin stitch, running stitch and french knots in a pale blue silk. The panel is in very good vintage condition with no marks or tears. 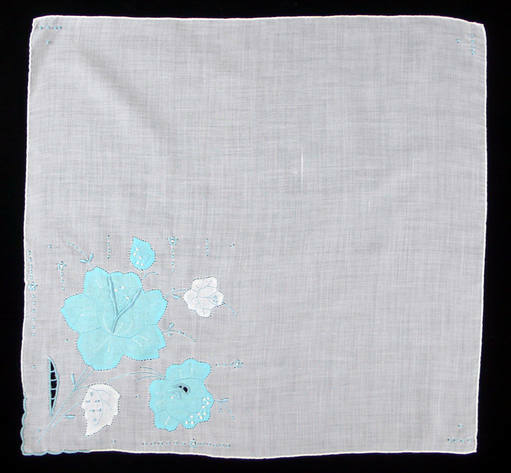 It measures 41cm x 39cm and would make an excellent basis for a craft or sewing project.